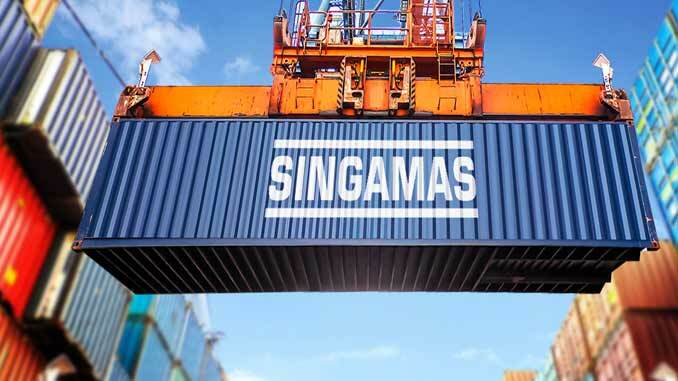 Hong Kong-listed box manufacturer and logistics operator, Singamas Container Holdings has blamed rising material costs and the appreciation of the Renminbi for a US$2.1m loss in the first half of 2018, despite revenue of US$969.22m. In 2017 the company recorded a US$19.9m profit. In common with the shipping industry it serves Singamas estimated that political instability in Europe and a trade war between the US and China had thus far left trade relatively unscathed. 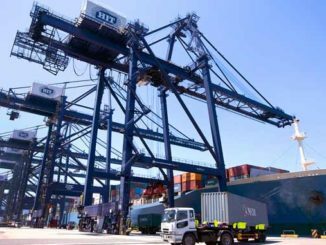 “During the review period, demand for dry freight containers has remained healthy which contributed to the rise in revenue of the Group’s manufacturing business,” the company stated at a press briefing on Tuesday. The manufacturing segment’s revenue amounted to US$955.72m, compared to US$576.57m during the first half of 2017. The sum accounted for 98.6% of the Group’s total revenue. 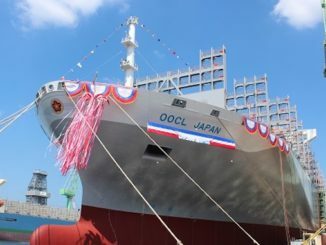 Production volume reached 458,374 teu compared to 310,070 teu a year earlier. The average selling price of a 20’ dry freight container rose from US$1,902 to US$2,203 primarily due to the use of waterborne paint and the ongoing rise of price of corten steel. During the review period, a total of 457,610 teu were sold compared to 303,668 teu in the first half of 2017. However, with competition in the market, the increased material costs were not entirely passed to customers, therefore resulting in a segment loss before taxation and non-controlling interest of US$2.043m versus a segment profit before taxation and non-controlling interest of US$19.87m for the same period last year. 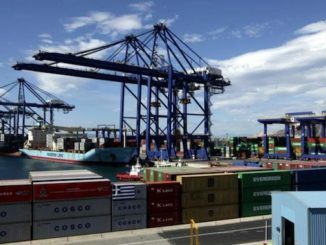 For the first half of 2018, demand for dry freight containers remained firm and accounted for 82.9% of manufacturing revenue, while specialised container demand has gradually improved. The Group believes that its ability to produce different types of customised containers (which generally possess better margins) demonstrates its development and production prowess, which is crucial to retaining and attracting customers to the fold. The Group provided a variety of tailor-made specialised container during the review period such as fish farming containers, small containers known as “mini-box”, equipment transportation containers and many others. Trial production of the Group’s new reefer container factory in Qingdao has begun. Although utilisation rate is expectedly low at present, more favourable development is expected once the facility is fully operational towards the latter half of the financial year. The Group has already received enquiries and will be accepting orders in due course. The Group’s logistics business continued to struggle due to strong export volume in the PRC during the review period. Revenue dropped to US$13.5m compared to US$18476m during the same period last year. The Group reported a segment profit before taxation and non-controlling interest of US$1.276m compared to US$2.261m. With regard to the joint venture established by the Group, Guangxi Beibu Gulf International Port Group Ltd and Port of Singapore, reclamation work on the property located at the Qinzhou port in the Guangxi Zhuang Autonomous Region is complete and construction of the container depot is scheduled for completion in mid-2019. The joint venture has been providing logistics services since November 2017 via the property rented in Qinzhou. Given the location of the property, the Group has been able to establish a beachhead as it seeks to benefit from the Chinese government’s One Belt, One Road Initiative. 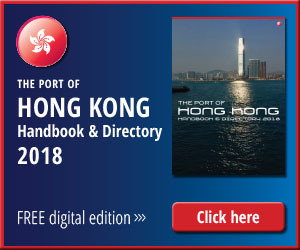 Looking to the remainder of the year, Singamas said it expects the upcoming financial period to be challenging, but Singamas’ container orders are already full up to September 2018. Also, as the Renminbi has weakened in value, the costs of materials such as corten steel are expected to moderate. The Group will seek to overcome the challenges through product development and optimisation of business operations. With that in mind, the Group entered into a share transfer agreement to dispose its entire equity interest in its subsidiary, Hui Zhou Pacific Container Co Ltd, in July 2018, in order to realise a gain and to generate additional cash.